Resources Webinar: "Introducing the management tool for external users in Office 365"
While external users can be added to your Office 365 environment the process is multi-faceted and cumbersome. 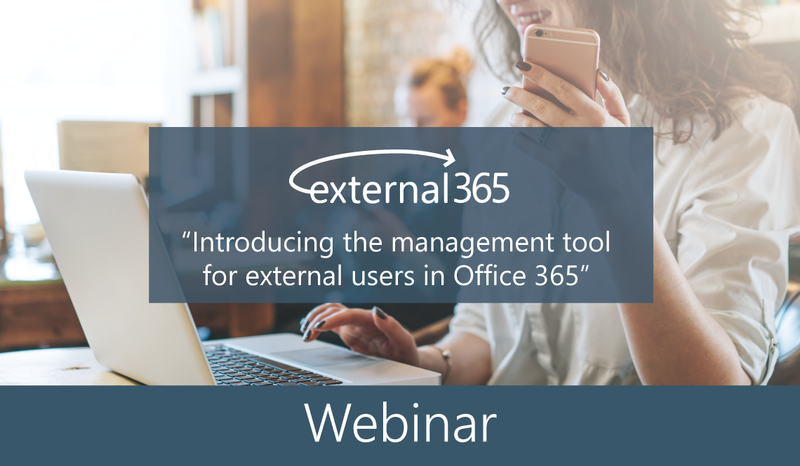 With external365 the complexity of adding and managing external users is eliminated and this session we will show you how! We will leave about 10-15 minutes at the end of the presentation for questions and discussion.